OIT graduates recently launched an iOS application that gives Christians and seminary students easy access to a popular Bible commentary. 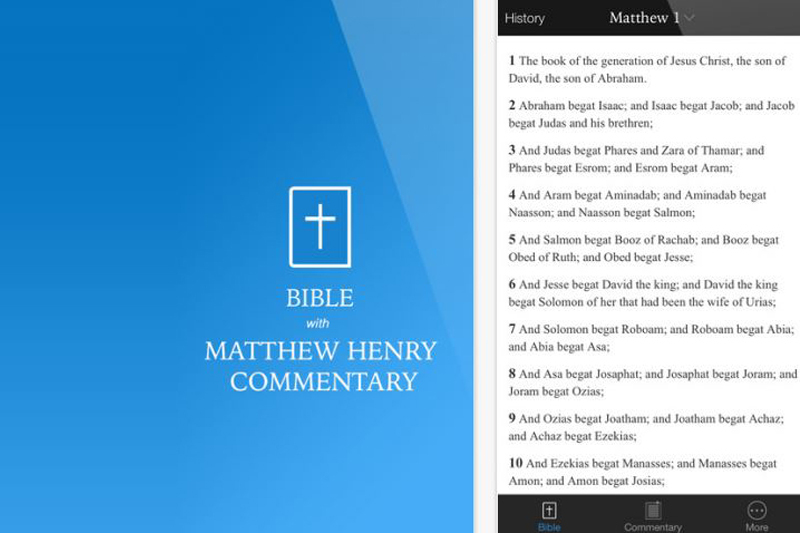 The application, named “Bible with Matthew Henry’s Complete Commentary,” makes the complete six-volume set of Matthew Henry’s Bible commentary available at people’s fingertips, and also features four versions of the Bible — the KJV, ASV, CKJV and CUV. “Now you can read the Bible and commentary side by side, all on your mobile devices, anywhere, anytime,” one team member commented. Originally written in 1706, Matthew Henry’s Complete Commentary provides an in-depth look at every verse in the Bible. The exhaustive commentary set is over 5,850 pages long and is the first Bible study resource that Christians and seminary students use. Considering its huge volume, the books are not convenient for daily use. Thus OIT graduates developed an app to serve both students and the wider church community.